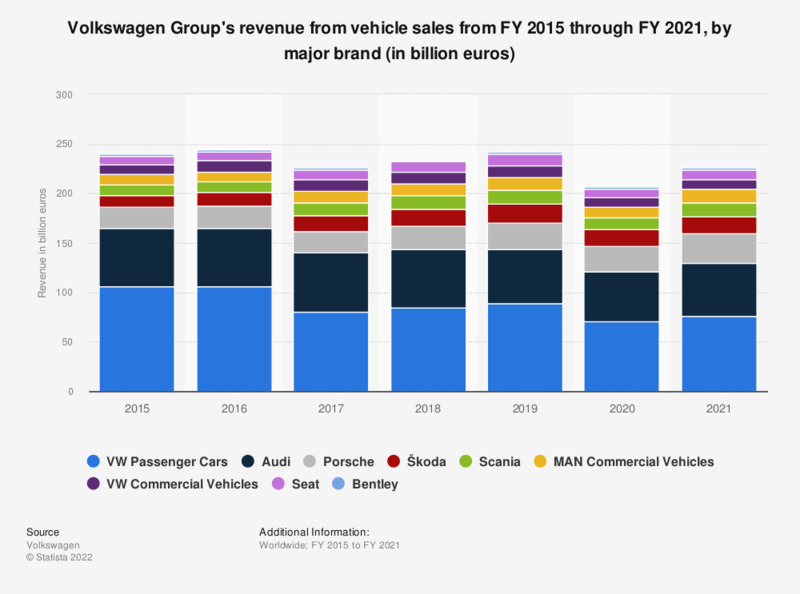 This statistic shows Volkswagen Group's revenue from the fiscal years of 2015 through 2018, with a breakdown by brand. Volkswagen's Bentley marque generated around 1.55 billion euros in revenue in the 2018 fiscal year. In terms of sales, Volkswagen is among the largest car manufacturers globally. Statistics on "Volkswagen Group in the United Kingdom (UK)"